As fans of film we all have these gaps in our cinematic vocabulary. A classic film everyone knows and talks about that you have never had the opportunity to see. A movie that you’ve often seen cited by current directors or writers as an inspiration, but only know it by reputation or a few famous shots. Sometimes these gaps embarrass us. Sometimes we think we know the movies based on a few famous lines and repeated references and call backs in later films, but we really don’t know much about them at all. A while back, while chatting with a fellow film buff and friend, we were discussing our biggest gaps. The first movie that came to mind for me was Bridge on the River Kwai. I’ve long considered it my biggest gap. It’s just one of those movies that has always escaped me. My parents had a duped copy on VHS when I was a kid. As a child, I’d seen Obi-Wan Kenobi crawling out of a hot box. I knew about the whistling and that there was a bridge and that it took place in a POW camp. And with that I built this narrative in my head of what I expected the film was, so I had never really run to see it. So, in the interest of my conversation, I decided on a whim to go out and buy the new 4K UHD release of Bridge on the River Kwai . Initially a bit daunted by the three hour running time, I decided to throw it on and see how it went. And although it shouldn’t have been a surprise (It is considered one of the greatest movies of all time) I discovered a quick moving, interesting, and often funny epic about complicated characters. In no way the stiff war movie I had made up in my head. And this led me to wonder how many other of these classic movies, I had let the popular consciousness image of, corrupt what they actually were in my head. So, I decided to go out and get a yearlong subscription to FilmStruck with the idea that I will seek out as many movies as I can that are big gaps in my movie viewing resume. (For those who might be unaware, Filmstruck is the streaming service whose catalogue includes both the Turner Classic Movies and Criterion libraries. So it is a veritable treasure trove of classic films.) And while I am on this journey through classic cinema, I thought I’d write my thoughts on how these films work for modern eyes for any of our readers who might be interested in filling in a few gaps of their own. In future weeks I plan attack as many big name films from the 1930’s-1960’s as well as diving a bit into some of the more famous art and foreign films that are available through Criterion that may journey closer to our own time. I’ll try to stay away from the big names. No one needs to be reminded that they should see Citizen Kane, Casablanca, or The Wizard of Oz. Gaps are funny in that what may be gaps to me, may be an obvious classic to others who would find themselves shocked that someone who claims to be a film buff has never seen them. At the same time, there are some classic films I’ve seen over a hundred times that others may consider a gap of their own. The movies someone has not seen are a product of interest, opportunity, and coincidence. So one size may not fit all. Being that this piece is already long, I will kick the series off with a short overview of a pretty short movie. 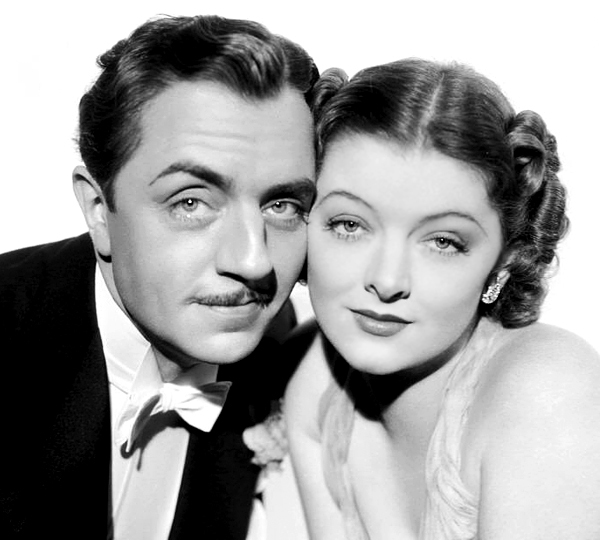 The Thin Man is a movie I had long had incorrect assumptions about. Either just from the name or perhaps conflating this film with others, I had long assumed it to be some sort of noirish, gritty, suspense thriller. And while it is a film with a mystery at its center and a detective in the lead trying to solve that crime, this pre-noir mystery acts almost more as a screwball comedy thriving more on the comedic chemistry of its two leads than in any of the plot mechanics of the disappearance at the story’s center. 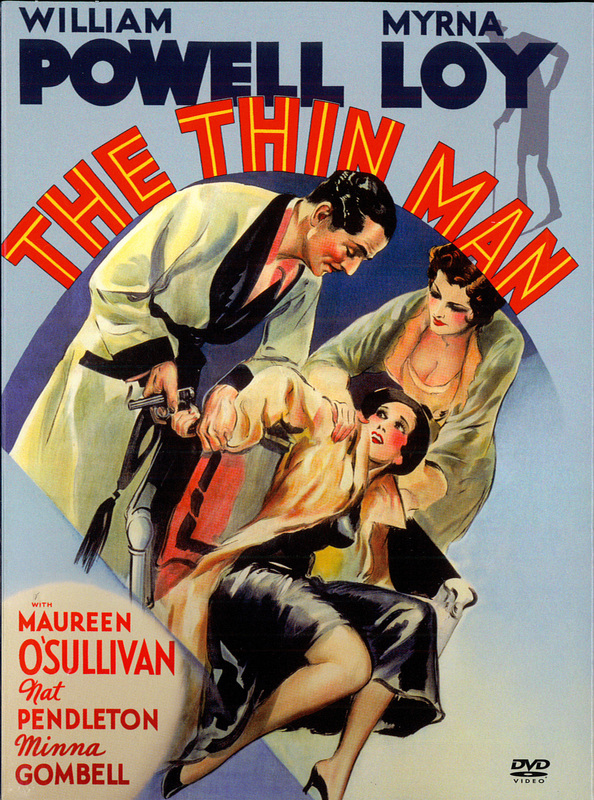 The Thin Man kicks off in a pretty plain fashion. We are first introduced to most of the key players in the film’s central mystery. An inventor, his daughter, and their many associates and family members. Wyman, the inventor, is about to take off on a mysterious trip he won’t tell anyone about and when he doesn’t return as scheduled, his daughter Dorothy (O’Sullivan), seeks out the aid of a family friend and former detective to help locate him. I was a bit concerned watching the first ten minutes of the movie. Although presented well, the introduction of these characters doesn’t give any real clue as to why this movie has had sustained popularity for 85 years. And, its an interesting approach that we are not even introduced to the leads until several scenes into the movie. But once we are the movie comes to life. The detective Dorothy searches out is Nick Charles (Powell). Nick is a fast talking, elegant, booze chugging ex-detective who wants nothing but to be left alone to live and be merry on the money of his socialite and heiress wife, Nora (Loy). Nick and Nora Charles are a legendary screen pairing for a reason. The chemistry between them on screen was so fine tuned that, as legend has it, most fans assumed they were married in real life. The back and forth between Powell and Loy takes center stage through the rest of the film as Nick initially dismisses Dorothy’s request and eventually (and predictably) ends up taking the case. There’s murder, suicide, buried bodies, nefarious people, and a last minute ploy to identify the culprit that’s right out an Agatha Christie book. But for the most part you don’t really care about the mystery. We’re here just to watch the banter. 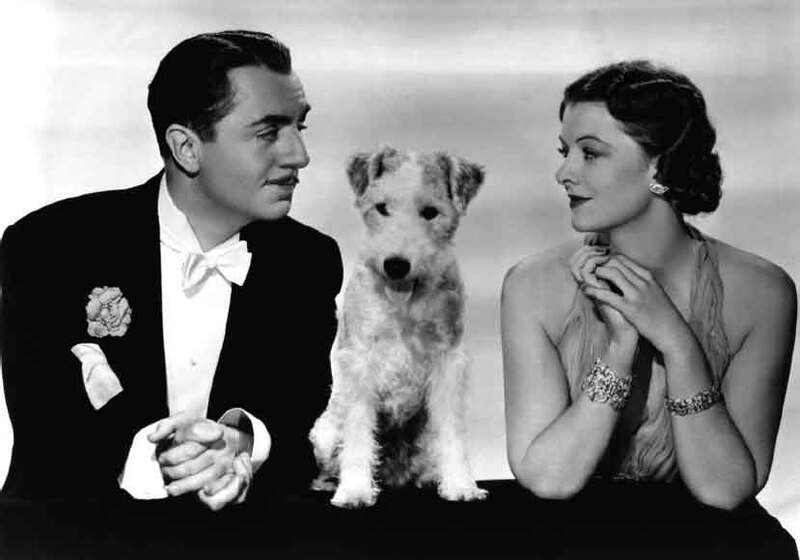 The Thin Man was famously shot on a shoe string budget in just two weeks as a sort of throw away B movie that the Studio didn’t have much faith in. And you can sort of see that in the way the plot works as a typical murder mystery. But Powell and Loy brought so much life to the movie that it ended up being a surprise hit and inspired 5 sequels. 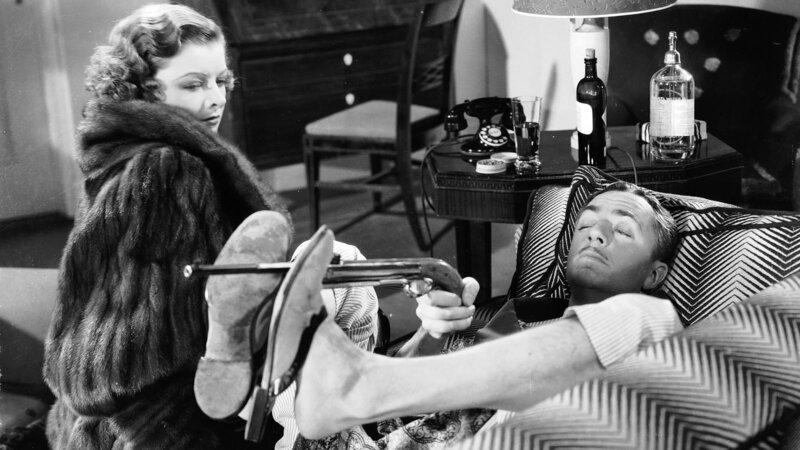 Pre-dating the screwball comedy boom of the late thirties, you can see that formula being birthed here in the interactions between Nick and Nora. Not a true screwball comedy per se, but the dynamics bear certain resemblances to those later movies. Recommended for: Lovers of classic comedy, murder mystery zealots, those who want to see one of the great onscreen pairings in action.